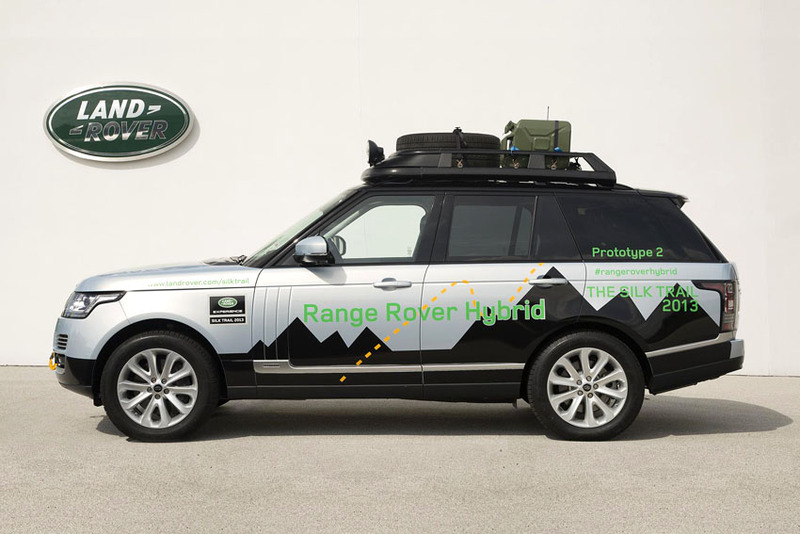 Land Rover is launching its first-ever hybrid models - the Range Rover Hybrid and Range Rover Sport Hybrid - which will deliver outstanding fuel economy, significantly lower CO2 emissions and retain Land Rover's renowned capability and performance. 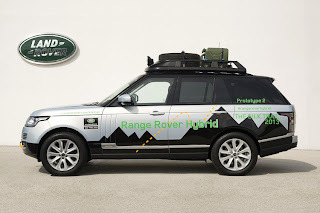 books in the UK will open from September 10, 2013 with first deliveries in early 2014, the two all-aluminium models are based on Land Rover's Premium Lightweight Architecture and share an identical powertrain. They are the world's first premium diesel SUV hybrids. The new Range Rover Hybrid powertrain features three driver-selectable modes and combines Land Rover's popular 3-litre SDV6 diesel engine with a 35 kw electric motor integrated with the 8-speed ZF automatic transmission. The hybrid system, including lithium ion battery pack, inverter and electric motor weighs less than 120 kg. The electric motor produces 170 nm torque to boost acceleration and drives the vehicle in EV Mode. The motor also acts as a generator, harvesting kinetic energy through regenerative braking, charging the battery when the vehicle is slowing. In driver-selectable EV mode the Range Rover Hybrid can travel at speeds of up to 30 mph (48 km/h) for a range of up to one mile (1.6 km) before the diesel engine seamlessly restarts. Together, output of the diesel engine and electric motor is 340 ps at 4,000 rpm and a class-leading 700 nm torque between 1,500-3,000 rpm, resulting in stunning SDV8-style performance. Both models accelerate to 62 mph (100 km/h) in under seven seconds, deliver strong transient and mid-range performance with a top speed of 135 mph (218 km/h), combined with a 26 per cent reduction in CO2 emissions to 169 g/km, equivalent to 44.1 mpg on the combined cycle. Both hybrid Range Rover models continue to deliver a class-leading breadth of capability and versatility, enhanced by the exceptionally linear torque delivery from the powertrain and retaining Land Rover's peerless four-wheel drive system including Terrain Response 2, with uncompromised wading and ground clearance.